Murmurs are produced when there is turbulent energy in the walls of the heart and blood vessels. Obstruction to flow or flow from a narrow vessel to a large-diameter vessel produces turbulence. Turbulence sets up eddies that strike the walls to produce vibrations that the examiner recognizes as a murmur. Murmurs can also be produced when there is a large volume of blood through a normal opening. 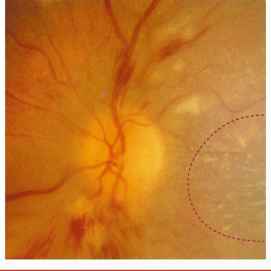 In this circumstance, the normal opening is relatively stenotic for the increased volume. ''Blowing'' murmurs are produced by large gradients with variable flow volumes. ''Rumbling'' murmurs result from areas of small gradients that are dependent on flow. ''Harsh'' murmurs result from large gradients and high flow. An ejection murmur is a murmur produced by turbulence across a semilunar valve during systole, such as in aortic stenosis or pulmonic stenosis. Ejection murmurs appear diamond-shaped and are described as ''crescendo-decrescendo.'' They begin slightly after S1 and end before S2. An ejection click from stenosis of the semilunar valve may precede the murmur. These murmurs are medium-pitched and are best heard with the diaphragm of the stethoscope. Because they are based on flow, the intensity of these murmurs does not indicate the degree of severity. Increased flow across a minimally narrowed aortic valve produces a loud murmur; decreased flow across a severely stenotic aortic valve may produce a barely audible murmur. 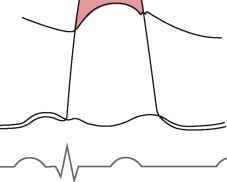 Any increase in flow or volume may produce an ejection murmur even in the presence of a normal valve. An ejection murmur as a sign of aortic stenosis is a finding of high sensitivity but low specificity. Figure 14-36 illustrates an ejection murmur. 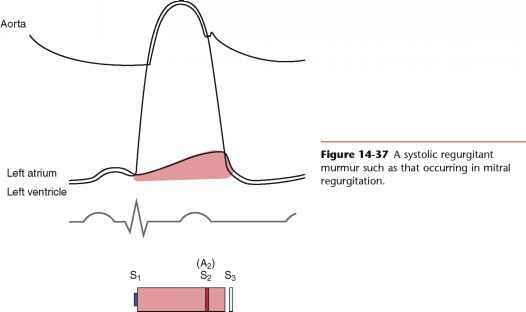 Regurgitant systolic murmurs are produced by retrograde flow from a higher pressure area to a lower pressure area during systole, such as in mitral or tricuspid regurgitation. These murmurs are holosystolic or pansystolic. They begin with S1 and end after S2. They extend past S2 because ventricular pressure is higher than atrial pressure, even after the closure of the semilunar valve. An S3 indicative of volume overload to the ventricle is often heard. These murmurs are high-pitched and are best heard with the diaphragm of the stethoscope. 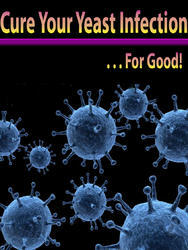 The terms regurgitation, incompetence, and insufficiency are often used synonymously for this type of murmur. The preferred term is regurgitation because it implies the retrograde direction of flow. The holosystolic murmur of atrioventricular valve regurgitation is a finding of high sensitivity. Figure 14-37 illustrates a regurgitant murmur. Figure 14-36 A systolic ejection murmur such as that occurring in aortic stenosis. Ejection click the valve is mobile. These murmurs are low-pitched and are best heard with the bell of the stethoscope, with the patient lying in the left lateral decubitus position. Because the atrioven-tricular valve is stenotic, rapid filling does not occur, and a gradient persists throughout diastole. 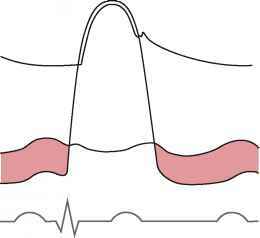 If the patient is in normal sinus rhythm, atrial contraction increases the gradient at the end of diastole, or presystole, and there is an increase in the murmur at this time. The diastolic atrioventricular murmur is a sensitive and specific sign of atrioventricular valve stenosis. Figure 14-38 A diastolic atrioventricular murmur such as that occurring in mitral stenosis.